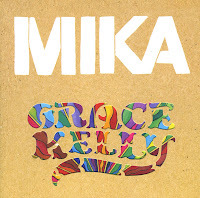 'Grace Kelly' was released in January 2007 as the debut single from Mika. It subsequently appeared on his debut album 'Life in cartoon motion'. The song was written as a satire of musicians who try to reinvent themselves to be popular. The lyric 'So I try a little Freddie' is a reference to Queen's Freddie Mercury, to whose singing voice Mika's has been compared. The single reached number 1 in the UK singles chart and number 4 in the Dutch Top 40. Initally, the song was available as a download only, but a cd-single was subsequently sold in shops. This 7" single was released in the UK only, featuring an inner sleeve which colours in the words 'Grace Kelly', which are cut out from the outer sleeve. 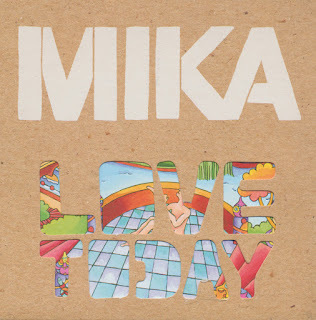 I'm really sorry now that I didn't buy the 7" singles from Mika's debut album 'Life in cartoon motion', because when you find them now on eBay, each one of them costs a fortune. 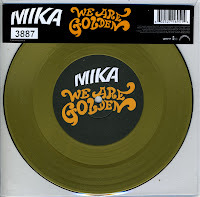 So I decided to be quicker this time around, with the release of 'We are golden', the first single from Mika's second album. It was pressed on - you guessed it - gold coloured vinyl. 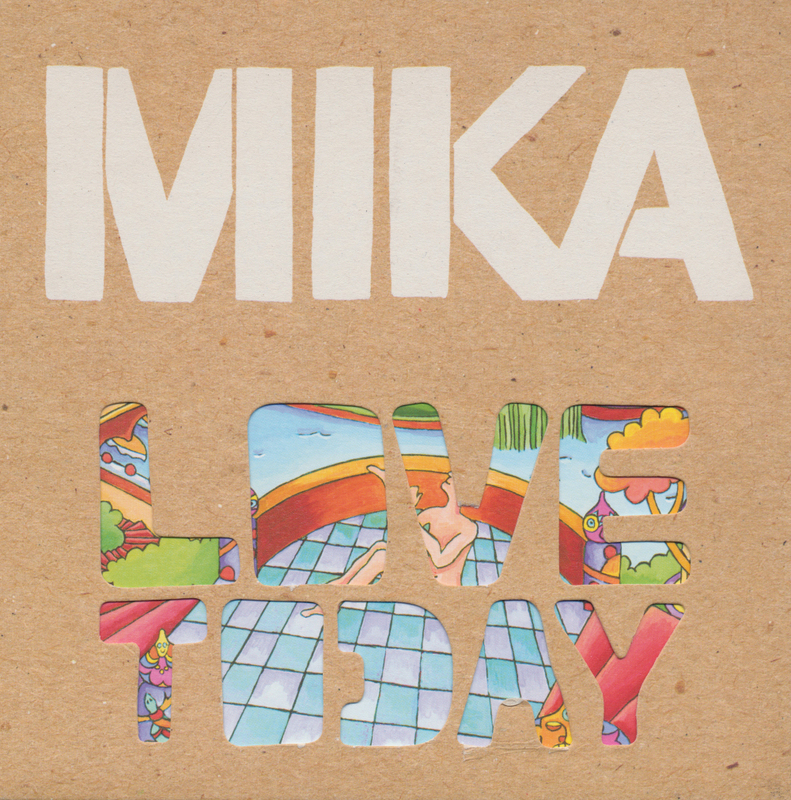 According to Mika, the song is 'big sounding and aggressive, but in a good way. It's got a gospel choir on it and a kids' choir, but unlike the first record they're not singing sweetly, they're screaming at the top of their lungs'. The single has already reached number 4 in the UK singles chart.